Dorothy Fox Elementary School is a member of the District’s Energy Star family. 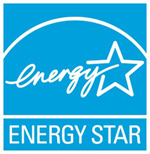 Fox earned the U.S. Environmental Protection Agency’s (EPA’s) ENERGY STAR certification, which signifies that the building performs in the top 25 percent of similar facilities nationwide for energy efficiency and meets strict energy efficiency performance levels set by the EPA. « Check out our weather station!